all day long with the Holy Name? After some time all the clouds are gone. Chanting just is. My idea of setting an intention before chanting was a good idea, but in setting up an intention I inadvertently was setting up an expectation of a reward for “good behaviour”, as in expecting a reward for chanting. In reality there is no hard and fast rules for chanting. Why? Because bhakti self-manifest. Bhakti generates bhakti. I have been thinking that chanting is hard. It is hard, but even that is a notion I have to let go of. 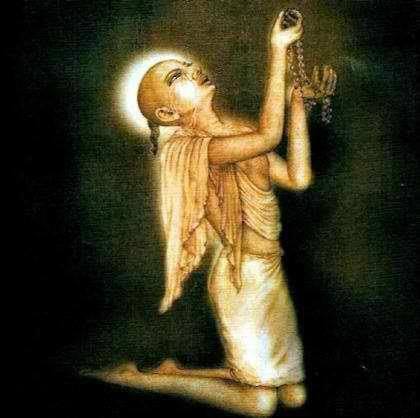 I found Syamananda Prabhus comment to be a good depiction of how chanting is. Chanting is a conversation with the soul and an uncomfortable one at that. Do you know what rule 1 of Japa is? I have decided to let the struggle of Japa behind me for the time being and instead just chant.